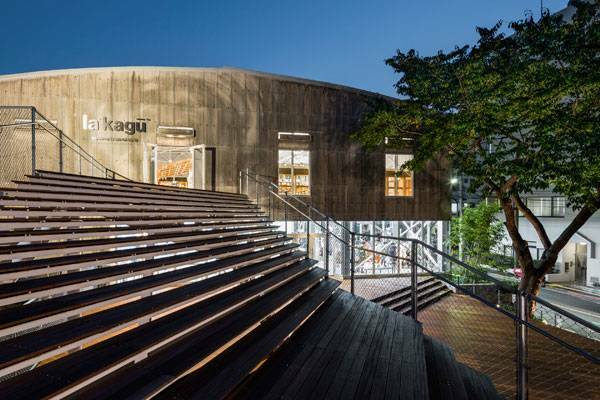 La Kagu, designed by Japanese architects Kengo Kuma and Associates, in Tokyo, Japan. 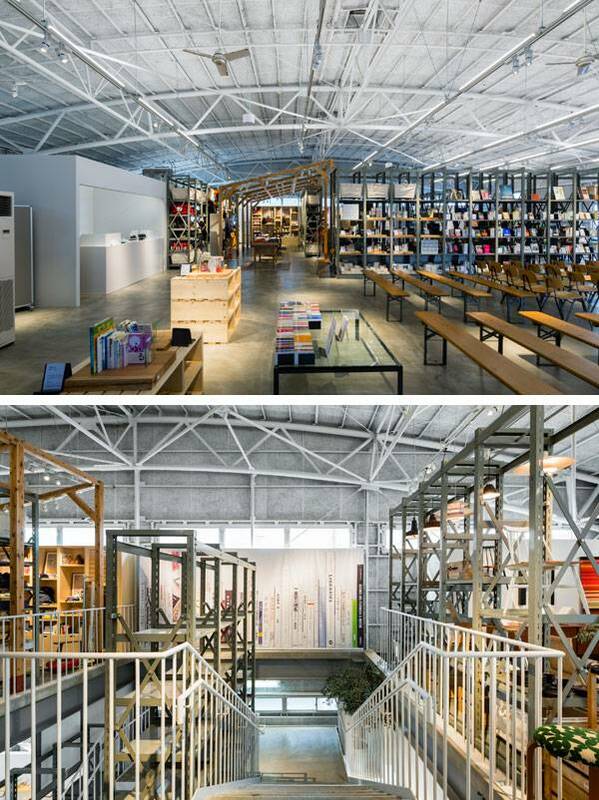 The La Kagu building designed by Japanese architects Kengo Kuma and Associates was a project that turned an old book warehouse into a multipurpose space with a lifestyle store and café. 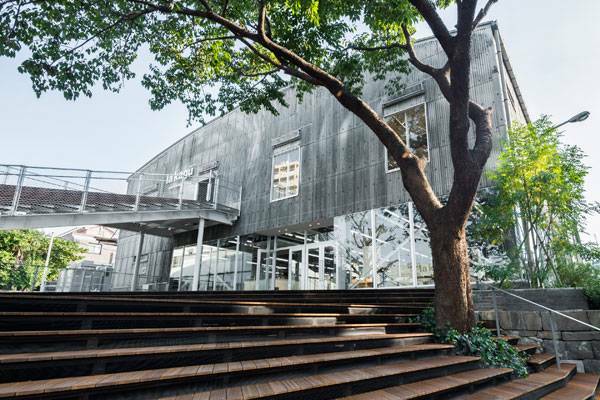 The original warehouse was maintained by the Shinchosha publishing company, which asked architect Kengo Kuma to restore the building. Kuma, a long-term resident of the neighborhood, understood the needs of renovating such an historical building. 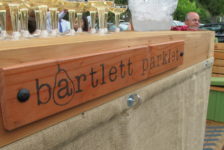 The company’s goal was to create a solid link between the present and the past. 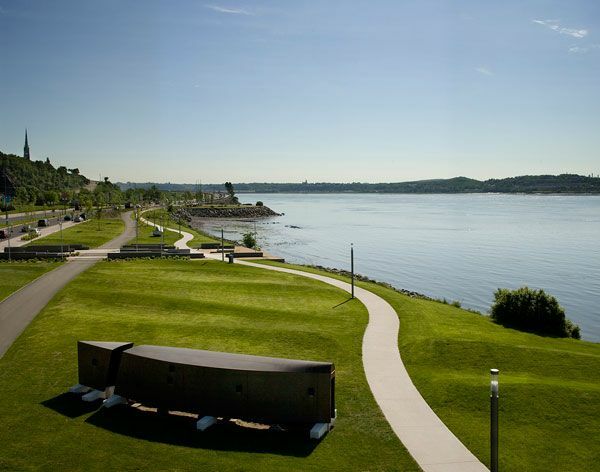 From the beginning, the project showed a unique respect for the site conditions by reusing the existing steel structure of the building, constructed in 1965, and by commemorating the affected topography of the site. While the first concept was part of the leading idea for the interior design, the intention to respect the original topography of the site defined the design for the outdoor project, which mainly relies on the principal staircase. 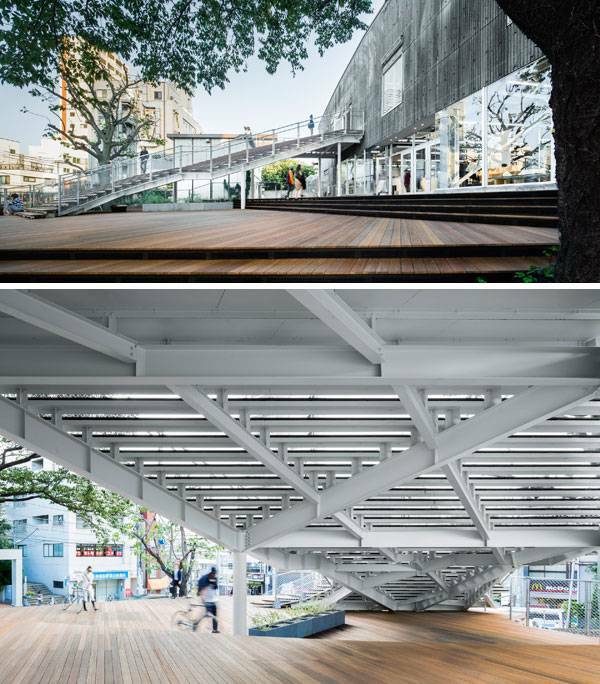 In order to get access to the different levels of the store of La Kagu, Kuma established that the access would be by a single timber-and-steel staircase that diverges in the middle, leading to the first and second floors of the store. The pavement selected, color, dimensions, and textures recreate a kind of model of the original topography of the non-existing hill. Each contour is each step. 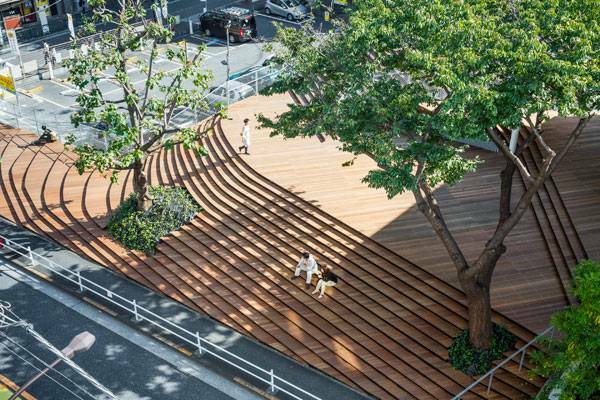 The brown appearance of the staircase intensifies its topography model aspect, which disembogues onto “Waseda-dori” street like a snake, marking the end of the sidewalk and the beginning of the store. Another important aspect of the wooden staircase is the timber material. Its aspect, color, and dimensions create a unique, warm pavement pattern that transforms the staircase into a venue for events. According to the architects, this kind of public atrium has already been used to host a local farmers’ market. The staircase also fulfills its functions as a city boundary. 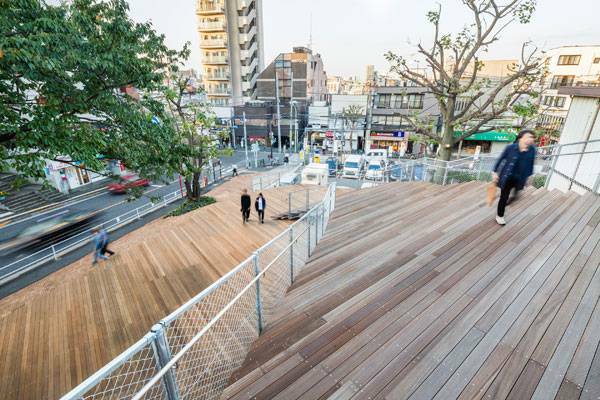 While it functions as an open public atrium, it also has the character to open up the narrow streets of Japan. 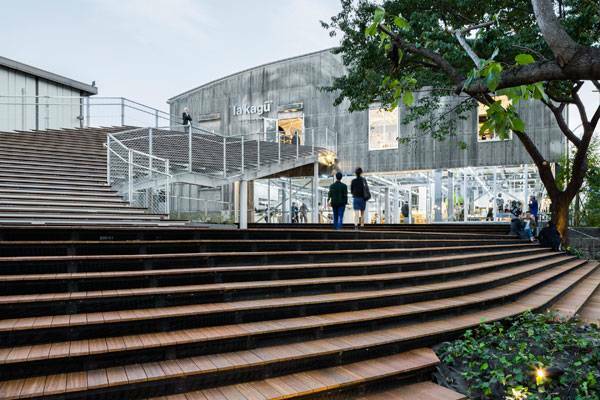 La Kagu’s open entrance area gives a break to the citizens, by amplifying the corner and changing the atmosphere of the site, creating a strong contrast between the rigid urbanism and the organically shaped wooden staircase. 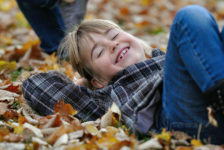 The presence of the trees also follows the idea of celebrating the past. This aspect is also a matter of Japanese design, in which the tree symbolizes the presence of spirits. 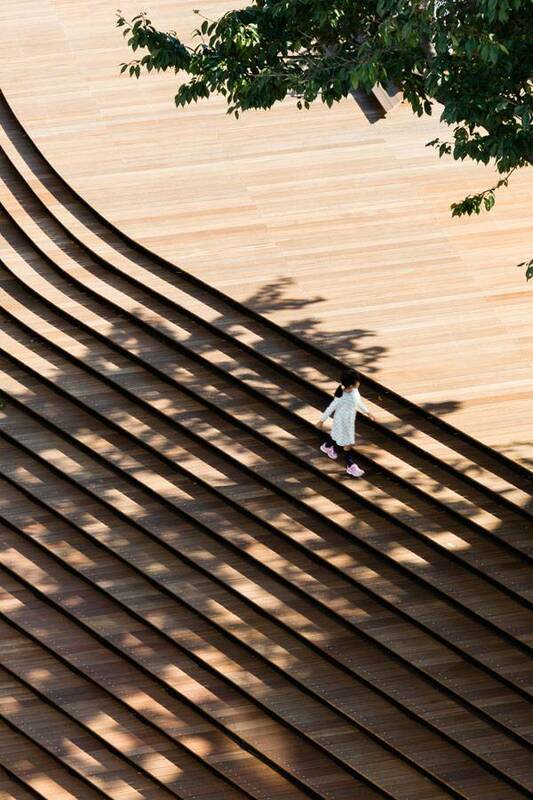 The old trees (three species of the Platanus family) became a fundamental part of the staircase and the façade of the building; they show how strong and important they are to the Japanese landscape design by breaking the geometry of the timber-and-steel staircase. Despite their size, each tree creates a unique link with the building and respects its restoration. Their relationship evolves each autumn and winter, when the trees lose their foliage and visitors and pedestrians rediscover the entire steel façade of the building. 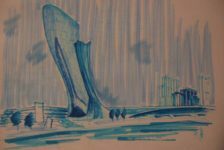 This alliance between building and nature works in equilibrium with the environment, maintaining the natural order of the site. 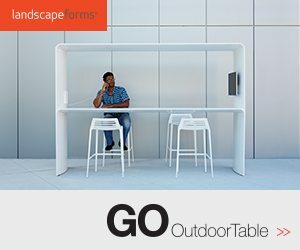 How Important is Outdoor Design for Indoor Design? The presence of the wooden staircase also affects the interior design of La Kagu. As we can observe in the pictures, the structure of the staircase brings enough indirect daylight into the lifestyle store and café by exploiting the northern boundary of the site. With this, each space becomes more comfortable for visitors. 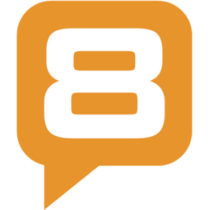 It also results in low maintenance and reduces the use of electrical energy. A common — but not less important — design aspect of Japanese architecture is to build efficient and practical spaces. 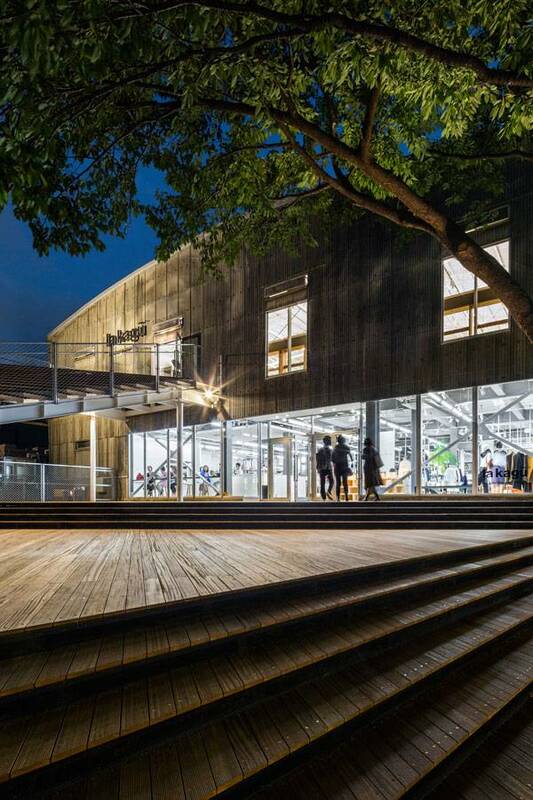 La Kagu by Kengo Kuma and Associates is so well designed that it has transformed the urban landscape of the neighborhood while at the same time exposing the history of the place. The staircase not only cares about the visitor, but also considers its urban impact by proposing an open atrium for the people and security for pedestrians and bikers. 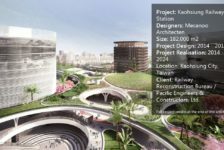 During the design process, a set of details may get lost and, in some cases, each part of the project is not correctly linked with the rest of the elements. 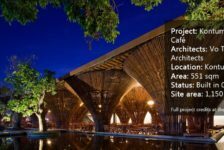 It is imperative not to forget the roots of the site during the design process, to respect the genius loci, and to remember the needs of the client so that you can avoid common design mistakes.